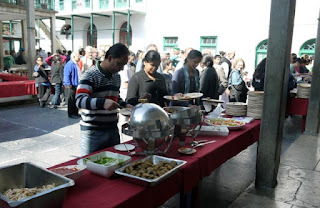 At lunch on Friday of the Mussoorie Writers we were treated to a Himalayan Food Festival in the Quad. The menu included Tibetan favorites such as mo-mos and other Indian foods that are either native to this mountain region or popular here. The entire school, from Pre-K through Grade 12, the staff, and all attendees at the Festival were invited. 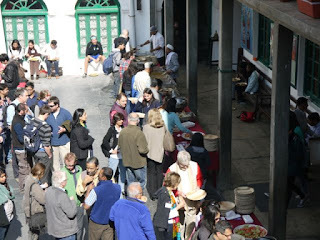 The kitchen set up three serving lines in the Quad to accommodate all the people. In recent years, the afternoon has closed with a poetry reading under the Lyre Tree. However, this year it was held in Parker Hall. The crowd was significantly larger than it has been, and the weather was on the chilly side for sitting outside in the late afternoon. We were treated to a most interesting session. 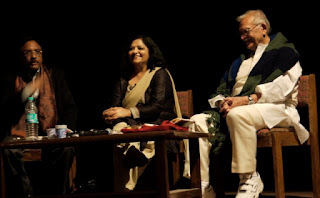 Gulzar, a famous poet, lyricist and director, was a real treat. He was very expressive in his readings. The other two were wonderful as well. Pavan Varma is a well-known author. Becoming Indian and Being Indian are two of his best-known works. He is currently the Indian Ambassador to Bhutan. Sukrita Paul Kumar is a Delhi-based poet, translator and teacher. The interaction among the three was wonderful. 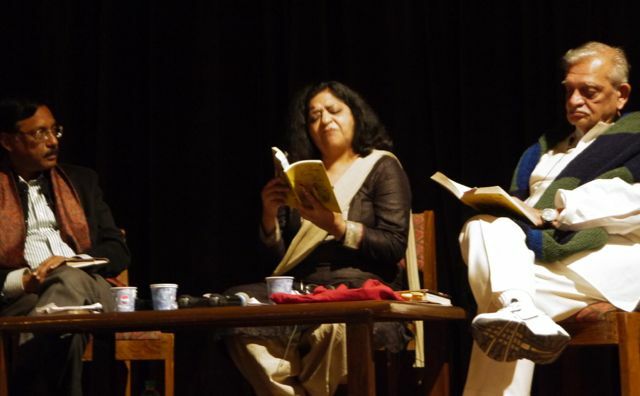 Gulzar read in Hindi, Varma read his translations of the same poems. Kumar read her poems in English, Gulzar read his translations of them in Hindi. The three broke into "shabash!" and "wah!" as the others read. They laughed a lot, obviously enjoying their interaction. I wish I had a video of it. "These mountains; I like them."